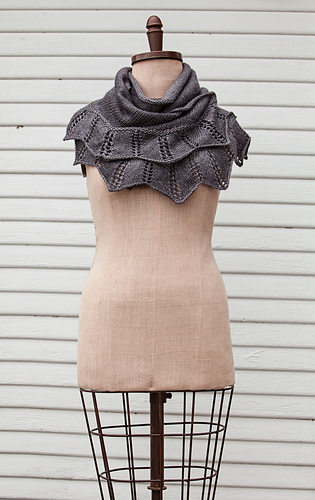 Here is a lovely summer wrap that works back and forth, back and forth, just as soothing as a porch swing. 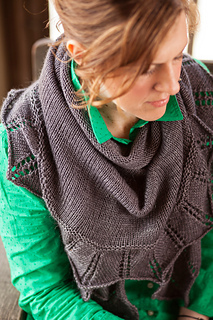 It can be worked in your choice of a relaxed garter stitch body or a slightly more structured stockinette stitch. 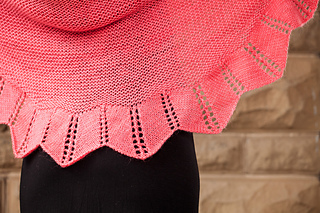 Worked from the bottom up, the easy to memorize lace repeat is followed by simple, relaxing short rows! 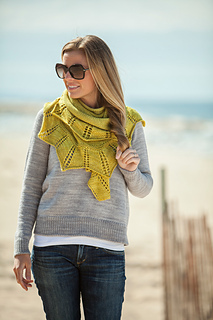 1325 yds / 1200 m. Also shown in CC Bloom modeled by Amy.